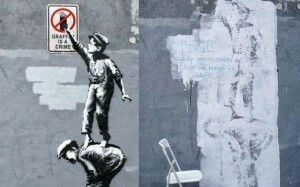 Just discovered this blog dedicated to surfacing the best of street/underground art and pop culture in its many forms. Big thanks to friend James Davis for Facebook-sharing a cool image by artist Zoltron Black that he spied during a recent trip to Atlanta. ‘Scuse me now, while I go expand my creative horizons. Update (8 March): Last night I logged in to Netflix and watched Exit Through the Gift Shop. 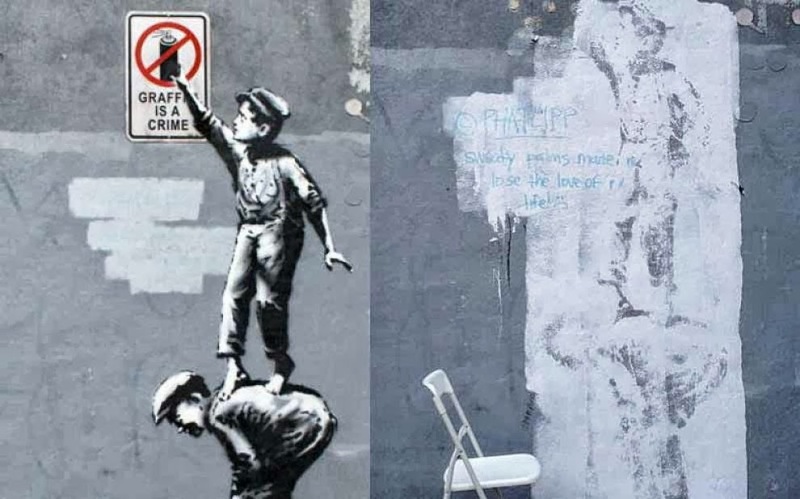 Made in 2010 by now-world-famous street artist BANKSY, the film tells the story of a French immigrant shop keeper/amateur film maker, and his attempt to locate and befriend Banksy, only to have the artist turn the camera back on him. Add this to your must-watch list. To the street/underground artists in the house, share a link to your Instagram or Flickr feeds, or your website so we can experience your work. When and where did you get started? What’s been your ultimate high so far and your lowest low? What do you want people to know about what you do?